A Canadian government led by Andrew Scheer, the current leader of the Conservative Party of Canada (CPC), would repeal legislation currently before the Senate that hobbles resource development. 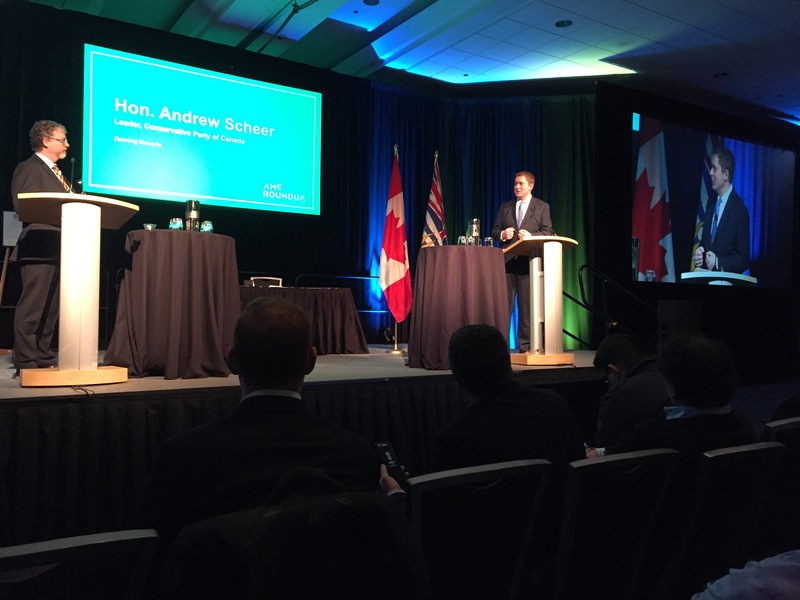 Speaking at Roundup 2019, Scheer said if a Conservative government is elected on October 21, they will "develop a process that aims to get things done in this country." The four-day annual mineral exploration meet-up concluded on Thursday. Bills C-55, C-68 and C-69 "are an alphabet soup of regulatory burden," and Conservatives would repeal C-69 in particular, Scheer said. The Bill would examine the rules around assessment of major projects in order to protect the environment, and pledges input from indigenous communities in the review process. Scheer called the bill "too flawed" and "a pipeline killer", referring to Kinder Morgan's decision last year to cancel the Trans Mountain pipeline project amid public opposition. The Canadian government later agreed to purchase the project for $4.5 billion. "We have to provide incentives to keep our industry competitive so that those jobs stay here in Canada and investment opportunities don't leave our country for others around the world." He bemoaned the fact that getting a mine from initial exploration to production can take up to 20 years, and named Australia as a jurisdiction he would like Canada to compete with and beat. Scheer took questions from the board of AMEBC, which organizes Roundup. The board of directors asked Scheer what the Conservative Party would do regarding the Species at Risk Act as it relates to the threatened southern BC mountain caribou; how the party would create more certainty around industry and indigenous groups with respect to resource development; and what the CPC would do to facilitate mineral exploration financing. Scheer said the party supports the mineral exploration tax credits made permanent by the BC Premier on Monday, adding the industry should stay tuned for a CPC announcement regarding mining financing. The federal government committed to a five-year renewal of the Mineral Exploration Tax Credit (METC) in its fall economic statement. "We do realize the value of those particular types of provisions in confronting the front-end development costs of mining more easy to bear and we'll have something very exciting to share in the short term about what a Conservative government would do to incentivize and facilitate that type of capital investment," he said.